Euronews’ Tesa Arcilla and Efi Koutsokosta were joined by British MEP Molly Scott Cato and German MEP Hans-Olaf Henkel on Tuesday evening for the latest episode of Your Call. The call-in show sees viewers from across Europe phone and Skype in to have their say on the issues directly affecting them at home. 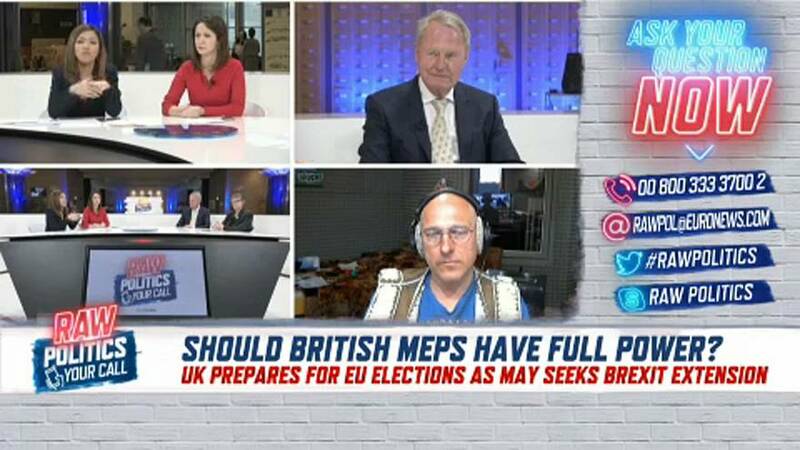 On Tuesday night’s episode, viewers and panellists debate if British MEPs should retain full powers in the case that Brexit is extended past the European elections in May.